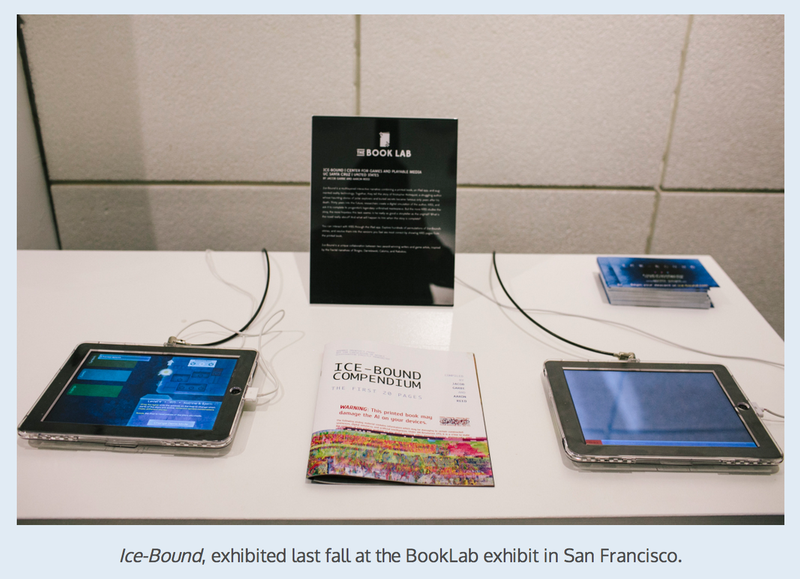 Aaron Reed and Jacob Garbe are currently Kickstarting an amazing project called Ice-Bound, which is an impressive experiment in combinatorial narrative and augmented reality: the story uses both an iPad app and a printed book. Their Kickstarter and website have lots of background on the project’s techniques, as well as loads of screenshots: this is nearing completion, and now needs money for print run support. Aaron’s work is consistently some of the most unusual, format-expanding stuff being done in IF, and I’m extremely excited to see where this particular project goes. Definitely worth checking out.